Children spend a significant amount of time in hospitals for different reasons, often feeling isolated from the world outside. 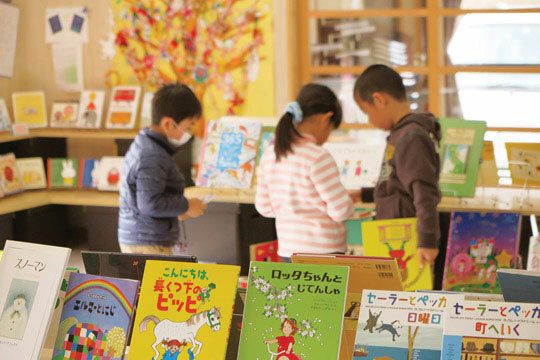 Our colleagues in Japan partnered with the non-profit organization Picture Book Carnival to prepare materials for craft workshops that offer a creative experience for children in hospitals to make mini picture books and lunch boxes using origami paper. Picture Book Carnival is committed to providing a prime opportunity for children to foster their creativity and imagination through picture books as an effective medium and increasing the mental, emotional and physical energy of children. "Our role is to ease the burden for sick children with a different approach than healthcare professionals,” says a representative of Picture Book Carnival. Thanks to the preparation of materials by Bristol-Myers Squibb colleagues, children at various stages of treatment were able to participate in the workshop without difficulty. “Usually our staff is responsible for all of the preparation. We really appreciate Bristol-Myers Squibb’s support and the time it saved our organization. I know the children enjoyed it, too," the representative says. Craft kits prepared by our colleagues were sent to hospitals. The playroom in one of the hospitals was filled with children who immediately began making picture books with the help of parents, nurses and Picture Book Carnival volunteers. This was an opportunity for children to engage with each other and enjoy time with their families. By creating a space where Children can have fun, We hope we can help them Stay strong and remain Positive during their treatment And fight Against diseases.